Founder 5 with Ashley Prange o..
“I had so much fun formulating Aloha Ambrosia. 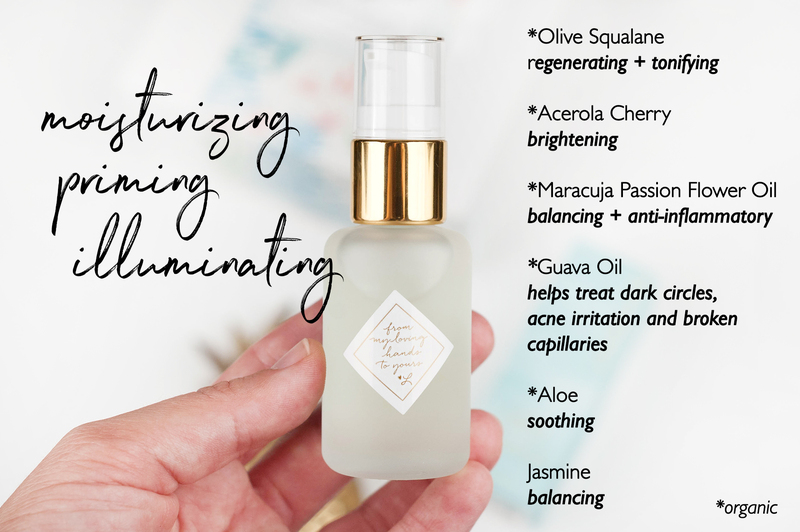 I wanted her to be a feather light moisturizer for morning use that would absorb quickly, feel light on the skin and work beautifully under makeup. Aloha Ambrosia is suitable for all skin types. 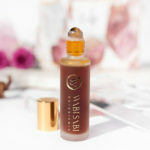 Having a feather light consistency, this beauty oil absorbs effortlessly and moisturizes to perfection. Below are some of Leah’s recommended (and personal fav!) 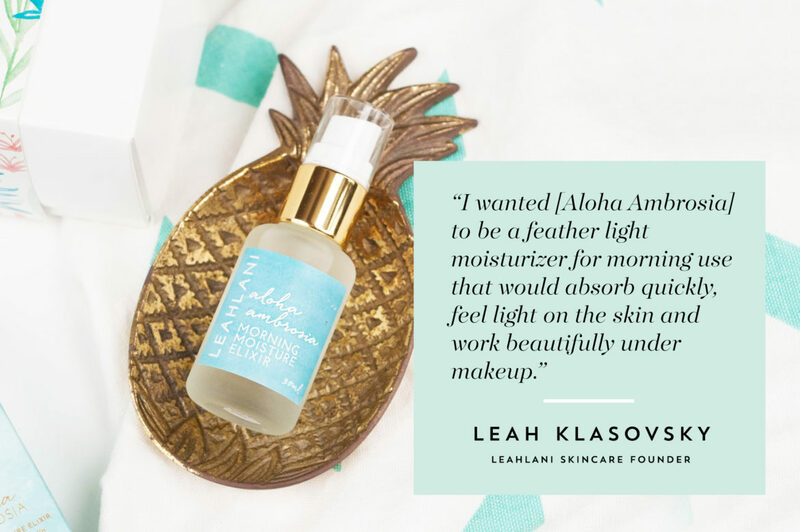 ways to incorporate Aloha Ambrosia into your daily skincare ritual. In the mornings: combine one full pump of Aloha Ambrosia Elixir with ½ pump of Siren Serum (or a serum of your choice). 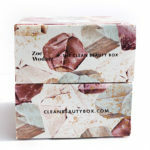 It is the perfect combination to moisturize and brighten the skin – leaving your complexion feeling healthy and toned. Aloha alchemy: apply two pumps of the Citrus and Citrine Toning Mist (or a mist of your choice) to your palm, and then apply one full pump of Aloha Ambrosia to your palm. Emulsify and cup your hands around your face. Inhale – exhale, and gently massage into the skin. 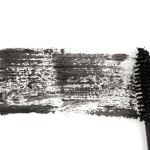 Prime time: apply as the last skin care step before applying makeup creating a perfectly smooth canvas. Mane maintenance: this Elixir works beautifully in your hair as well! When you are done applying to skin, massage whatever is leftover on your hands into your hair – Leah assures you how amazingly it works to soften the hair, leaving a beautiful shine as well as a gorgeous scent of jasmine in your wake.